Back in those days, when I was a kid, mom would make my lunch box every day largely consist of tuna or egg sandwiches. Simple as that! Kids these days are really lucky though, as mothers are putting in extra effort to create a nutritious yet fun packed lunch for their little ones. 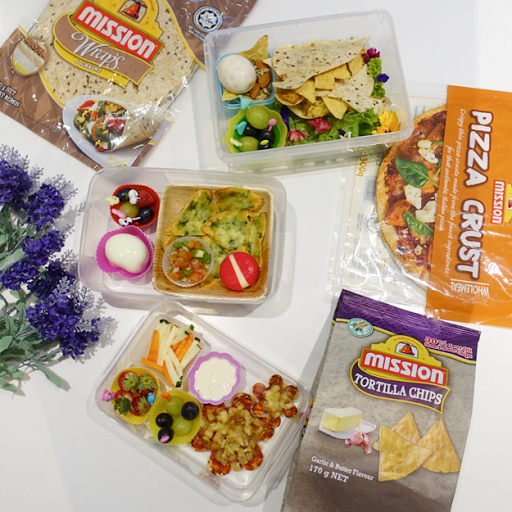 Mission Foods has teamed up with consultant dietitian Indra Balaratnam as well as celebrity moms, Aishah Sinclair and Sazzy Falak to share their inspiring and inventive ideas for quick and healthy Bentos prepared using their versatile Mission products such as wraps, pita, naan and chips. 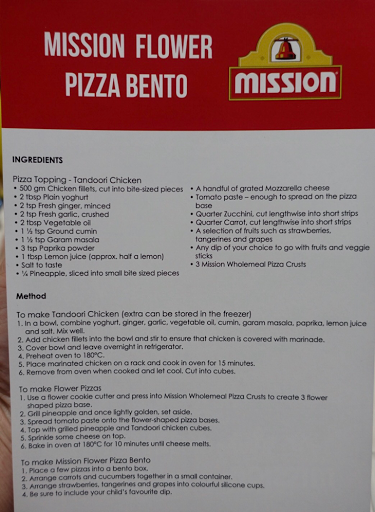 A Bentos workshop was held at The Cooking House recently where the 3 supermoms shared their Bentos creation. So what differentiates Bento boxes from the normal packed lunches? Artistry! 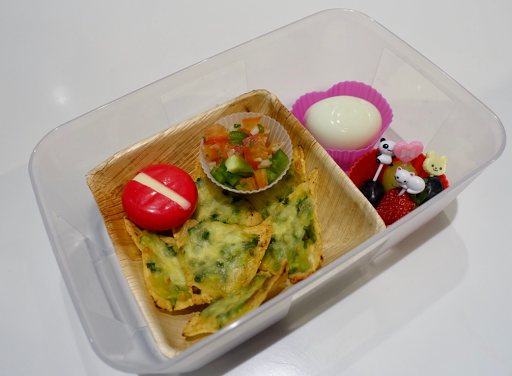 With a touch of fun and whimsy, the food preparation and arrangement will make eating lunch Bento more enjoyable. Not to mention, it is also a great way to introduce new healthy foods in tiny and pretty portions for children. For instance, boiled eggs are a great form of protein, shaping a boiled egg into a bunny will attract the children to try it out. 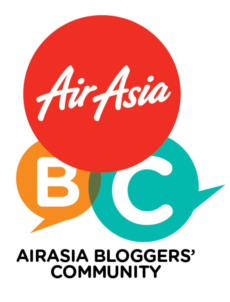 Dietitian Indra Balaratnam, a mother to an 11 year old daughter, Skyler, believe that one of the best investments a parent can make is to create a positive relationship with food hence their children will grow up to become healthy and confident. 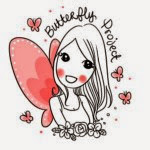 She said with a little bit of imagination, any mom can create a cute and appetising Bento incorporating healthy, seasonal items leaving out sugary snacks and junk food. 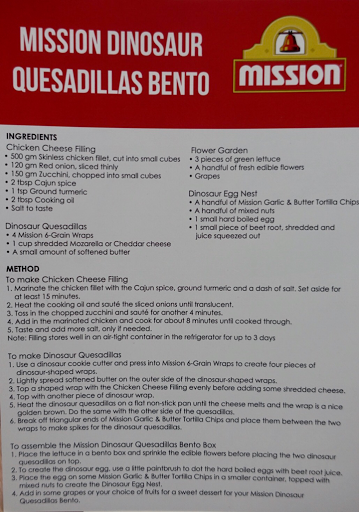 Indra demonstrated Chicken and Cheese Quesadillas using Mission 6-Grain Wraps, shaped into dinosaurs grazing in a flower garden. The flower garden was cleverly made up of leafy salad strewn with edible flowers. 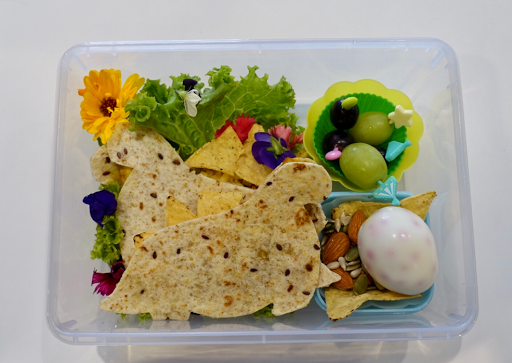 At the side was a Dinosaur Nest made up of a base of Mission Tortilla Chips, mixed nuts and a boiled egg with dots coloured with beetroot juice. 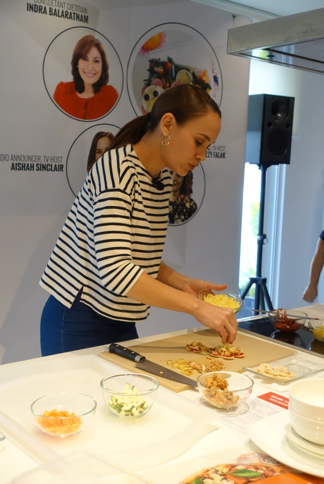 Meanwhile, radio announcer, TV host and fitness enthusiast Aishah Sinclair created a delicious Tandoori Chicken Pizza with Mission Wholemeal Pizza Crust in the form of flowers for her two daughters. She loves to cut out cute shapes using cookie cutters to get Soraya Ann, aged 7 and Aina Elisabeth, aged 3 excited for their foods. 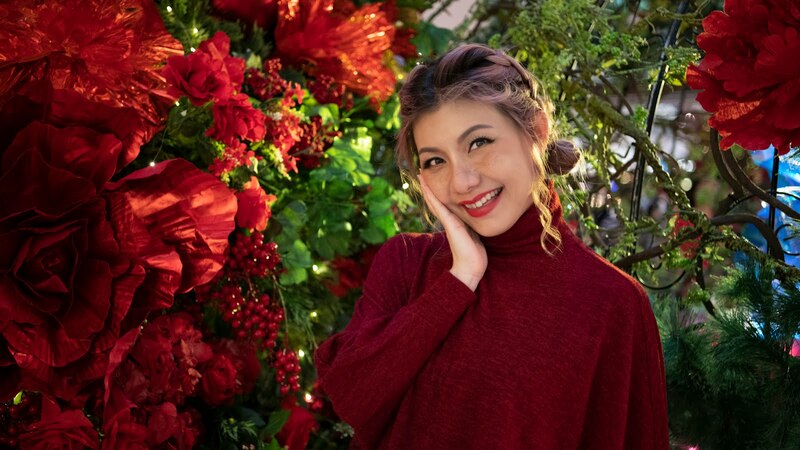 For TV anchor, fashionpreneur and fitness instructor Sazzy Falak, her busy schedule does not refrain her from preparing meals for her family. 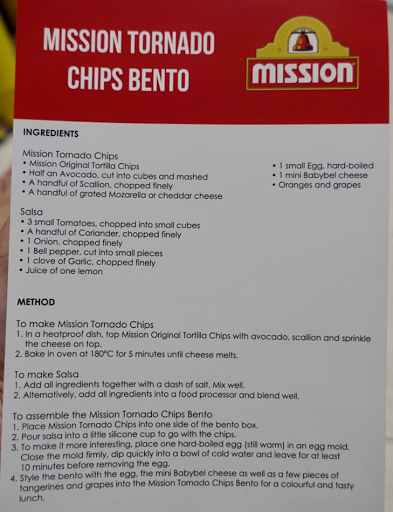 She created a snazzy bed of Mission Original Tortilla Chips nachos topped with crushed avocados and melted cheese, served with a fresh salsa for her twins, Tiara Rose and Imam Lily, aged 6. On the side was a teddy-shaped boiled egg and fruits with cute animal picks. 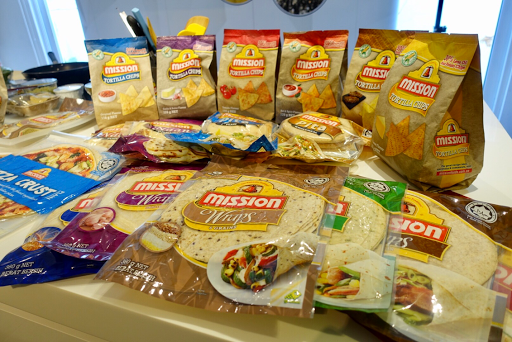 For more information, kindly log on to Mission Foods.